It seems more and more people are turning to camping for family holidays and exciting adventures and this year that included us! 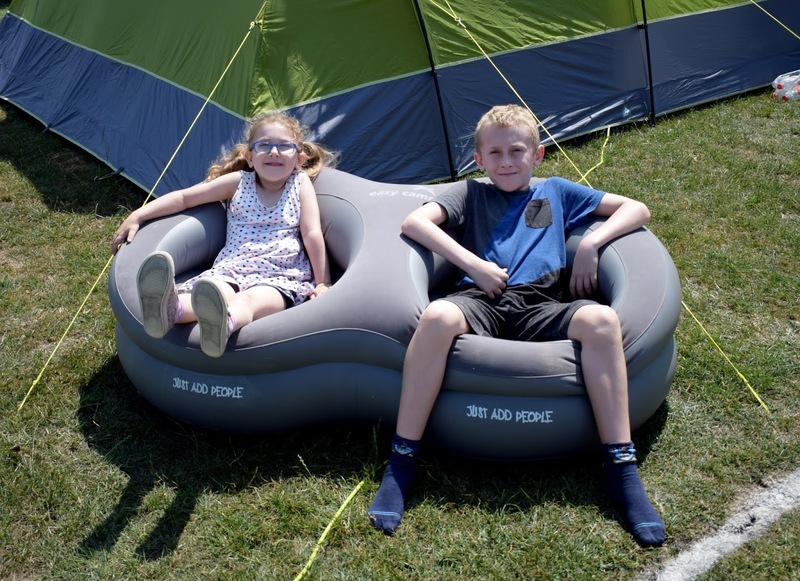 With holiday prices soaring and James and Evelyn now both in school our holiday's options were limited and we knew that buying a tent would give us so much more flexibility and chance to explore new places. Of course its easy to think its a simple case of grabbing a tent and a few sleeping bags and off you go. However the reality is camping with a family involves more, much more! More than I had initially imagined if im being totally honest and it can become quite overwhelming trying to think of all the things you might need for a few nights away in a tent. 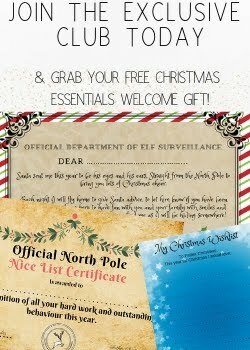 However once I had come across the Simply Hike website those worries and stresses were quickly answered! Simply Hike is an leading online retailer in the hiking and outdoor clothing market and they have everything covered when it comes to camping too. From the tent itself to camping ready meals or even an inflatable kayak Simply Hike has everyone you could need for a camping trip to any part of the world. Knowing I could get everything I needed in one place for our camping trip was definitely a big relief, it meant no shopping around or writing big lists I could just get everything I needed. The team are super helpful and friendly too so if you are unsure of what you might need or have any questions be sure to use their contact us section as they are so helpful and knowledgeable about all things outdoors. Here are some of the best camping essentials for a family camping trip I found on the Simply Hike website (of course everyone's essentials are different so these are just our idea's, make sure you check out the website yourself as there are so many other options available). When you think of camping most people will associate it with a pretty uncomfortable nights sleep, however that doesn't have to be the case. There are plenty of options available when it comes to beds including metal framed camp beds and air beds or self inflating mattresses. Since we didn't have much room in the car we opted for the single flocked airbeds and they were actually so comfy. We ordered one each for the four of us and each of us (aged from 4 right up to 28) got a good night sleep on these! 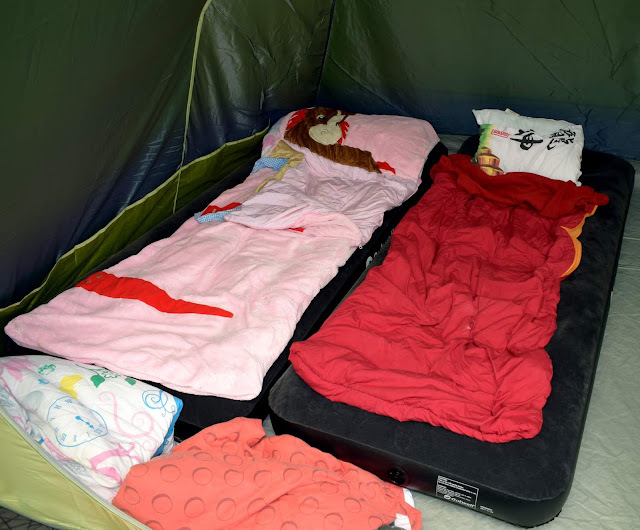 These were quick to inflate and didn't dip or deflate to much during the night making sure we all got a good nights sleep ready for all the adventures the next day. I have to admit that cooking in a tent hadn't even crossed my mind before I browsed the Simply Hike website! I just had images of us lighting up a BBQ for a tea and cooking that way but of course that's definitely not practical and who wants to eat BBQ food every day!? There are a great range of camping stoves and gas stoves on the website from simply and small single burner stoves right up to double burner stoves complete with a little grill too. 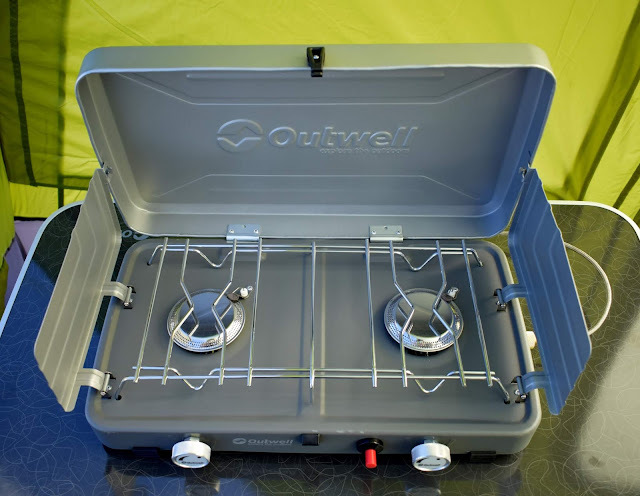 We opted for the Outwell appetizer duo cooker and it was perfect for cooking up quick lunches such as pasta or beans etc and boiling water for cups of tea and coffee in the morning too. 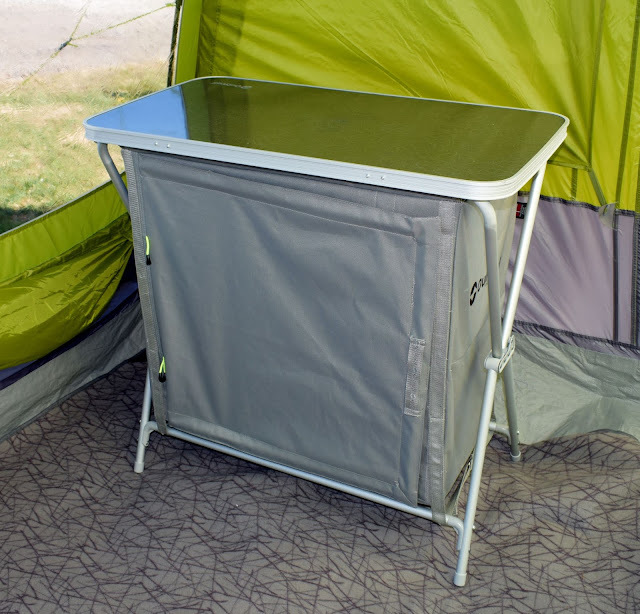 It folds down small and compact and also has high sides and back panels so you don't get caught out trying to keep your stove going on a windy day. A comfortable camping chair is a must! It was amazing being able to sit outside out tent on an evening watching the sun goes down whilst the kids had fun playing outside. It was also great to have somewhere to relax on a morning inside the tent so investing in a good chair take camping is really important. We went to a camping shop and tried some out first, I know that sounds crazy but there are so many options. 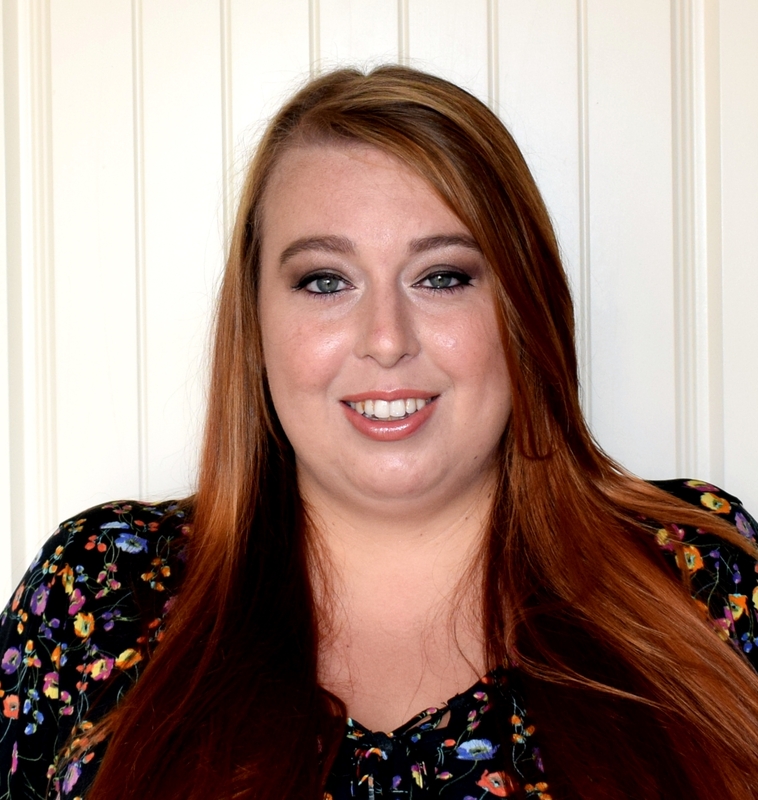 I ended up choosing a chair which had big wide sides just like the Outwell Angela chair and it was so comfy it felt like I was being hugged in the chair and I could have quite easily fallen asleep. With a padded seat and headrest but lightweight frame this is the perfect chair for any camping trip. Even in the summer when the sun is shining, once the evening comes and darkness falls it gets very dark inside the tent and so good lighting is essential. Even more so if your going to be making trips to the loo during the night (navigating those guide lines and ropes in the dark is no easy task!). We found the Vango Galaxy 150 lantern was really easy to use and lasted us the whole weekend on one set of batteries despite having it on for several hours each evening. 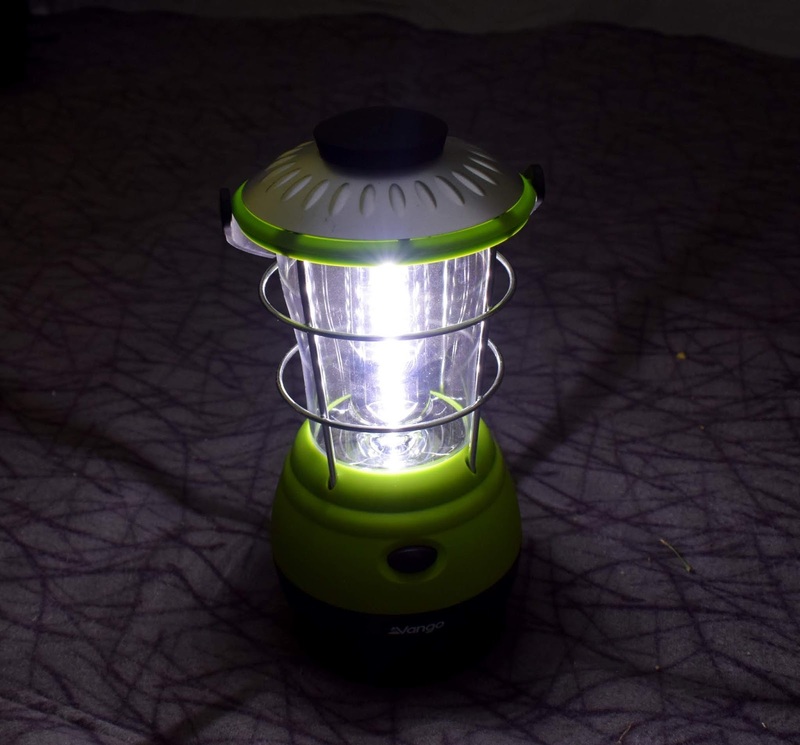 It has 18 LED lights that help the lantern to create a soft white glow with just the right amount of light to light up your tent but not be so bright it blinds you! The only thing that would make this lantern better would be a hook that could be hung from a tent hook or similar. However the carry handle did mean we could move it around as we needed and even take it with us when we needed light outside of the tent. Whilst storage may not feel like a necessity when camping you will soon get fed up with tripping over shoes and suitcases lying around the tent or having food/drinks cluttering up the living space. Simply Hike have lots of great storage options that can also double up as a worktop or table top which we used for keeping our camping stove on top of. We chose the Outwell fabric storage unit which has two removable shelves inside. It collapses and folds for ever storage and transport but also offers a great storage option when camping, The shelves inside are actually quite sturdy and hold a lot of stuff! We stored all our towels and swimming/washing items on one shelf and out shoes on the other and it help it all no problem. It was great to have somewhere to store all those little bits as space is quickly used up in a tent. If you are planning lots of adventures or exploring whilst camping a good pair of shoes will really help. Whether its welly boots for trekking through mud or trail shoes/walking boots for exploring different landscapes Simply Hike have something to suit you. Getting a blister on the first day is definitely not fun so making sure you get boots/shoes for the activities you plan on doing is a really wise choice. Simply Hike have a great range of not only footwear but foot care too including walking socks and even insoles to make sure your new shoes fit perfectly and keep you on your feet and comfortable the whole time. 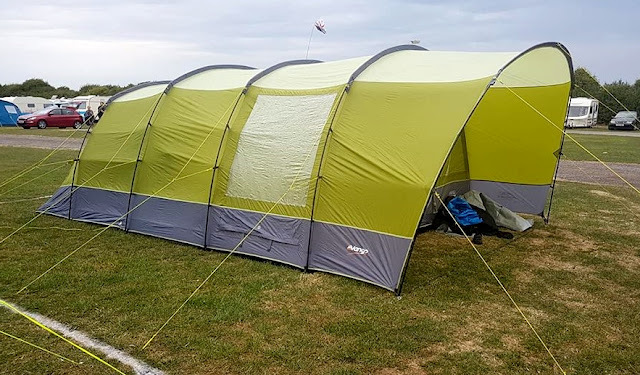 We tried out some of our Simply Hike camping gear last weekend and it was all fantastic and made our camping trip that little bit more enjoyable and relaxing. 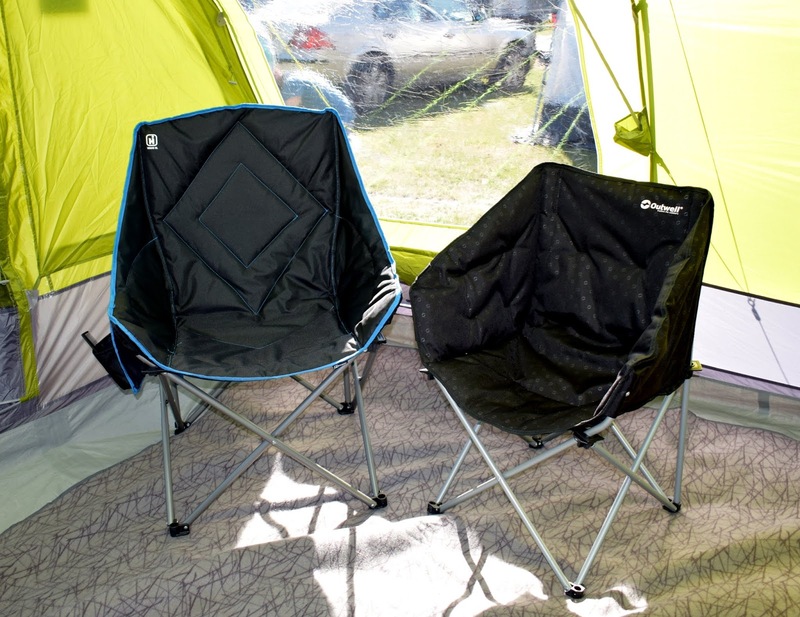 I can particularly recommend the Outwell Angela camping chair for relaxing outside your tent on these hot summer evenings. Its super comfy and folds really small for transporting too. Of course if you are thinking of camping for the first time you will need a tent first and Simply Hike have you covered there too! They have a great range of tents including some leading brands such as these Outwell tents and Vango tents, from 2 birth right up to huge family tents that sleep up to 8+. Do you love camping or is it something you have been thinking of doing? I really want to go camping again, I need a huge tent like this! I haven't been camping since I was a kid and went with my parents so this is so super helpful- so many things I wouldn't have thought of! I’ve always wanted to go camping! I never went as a kid and looks like so much fun. And it’s perfect weather for it too. Will have to keep this in mind for a staycation idea. 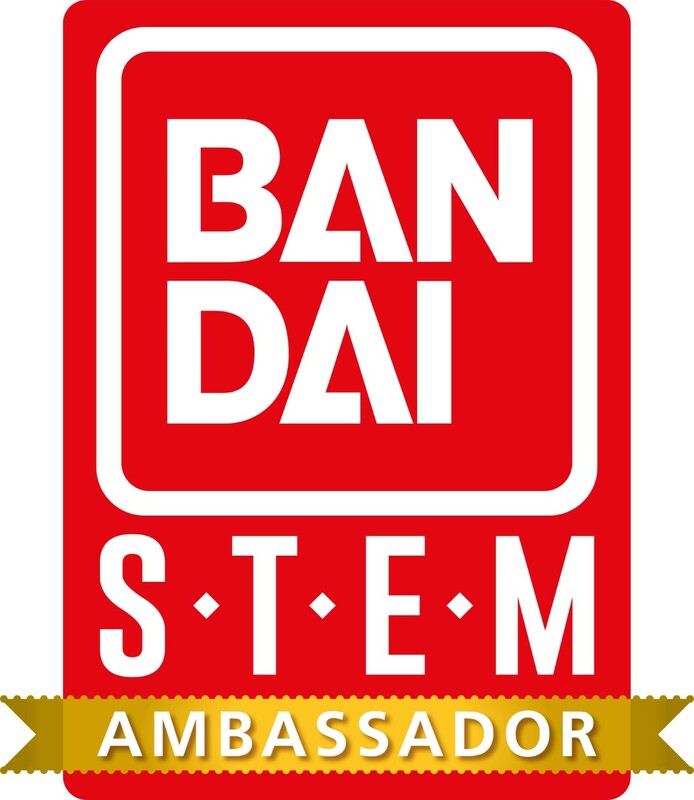 Now I'm jealous. I really want to go camping but we have no equipment at all :((. I've had a few things from Simply Hike, its such a great place for any outdoors things. The camping chairs look so comfy and I love the storage unit. I've clicked the link because blow up kayaks sound amazing!!! We're looking at planning a camping holiday really soon so this is really useful. We have none of the gear at all!